Juliens Auctions will host a two-day live and online event at New York City’s Hard Rock Café on September 14 and 15 that features items from the singer’s career with iconic bands Rainbow, Black Sabbath and Dio. Highlights of Dio’s personal items available include his pair of moon and stars patchwork jeans worn extensively on stage with Rainbow; a custom made violet suede vest with tails and red leather shin guards worn on stage and in promotional photographs for the 1985 Sacred Heart Tour; and, a personalized Black Sabbath hooded velour robe from the 1981 Mob Rules tour worn regularly back stage. Tour gear up for bids includes Dio’s personal rolling wardrobe case, a collection of his studio and tour-used instruments, and stage props such as a monumental animatronic sphinx on plinth base from the 1984 The Last In Line tour and a massive animatronic dragon’s head from the 1985 Sacred Heart tour. 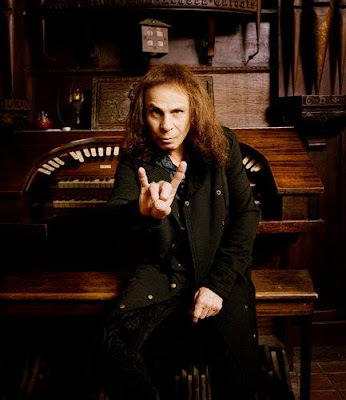 Following stints in Rainbow and Black Sabbath, Dio formed his own band in 1982 and went on to release 10 studio albums during his solo career before passing away from stomach cancer on May 16, 2010 at the age of 67.